2004 and 2005 marked the years that the Air Jordan XIII (13) would be re-released by the Jordan Brand. One of the many releases included the Air Jordan 13 (XIII) Retro White Team Red, and Flint Grey color-way. 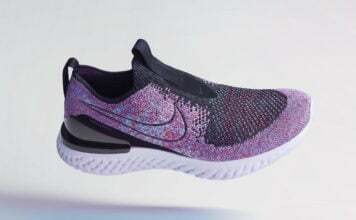 The Air Jordan XIII is definitely an innovative creation by the Jordan Brand is the first model to feature the hologram. Furthermore, the Air Jordan XIII looks particularly well in the subtle colors and is a color-way often used by Nike and Jordan Brand. 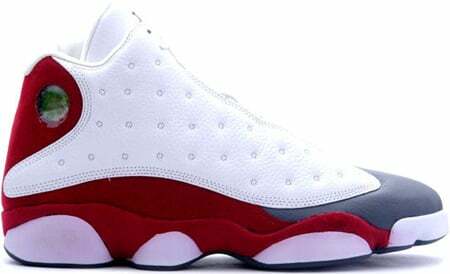 The Air Jordan 13 (XIII) Retro White, Team Red, and Flint Grey was released on January 22nd, 2005 with a price tag of $150. Although it has only been 2-3 years, the retro Air Jordan XIII models are becoming more and more scarce causing its price to significantly rise.